The Hiperbaric 300 has historically been the best seller in the Hiperbaric range. Developed from the start as a game changer in the High Pressure Processing world, it has surpassed expectations. Its optimized vessel volume (300l.) 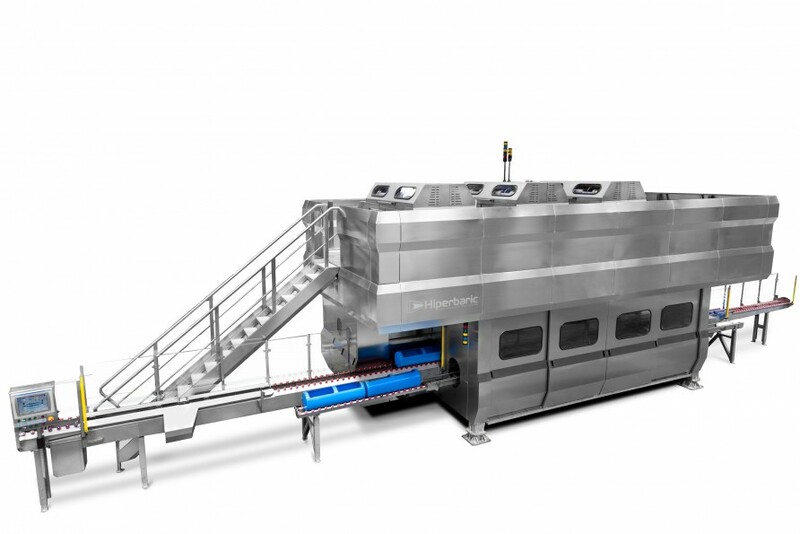 and diameter (300mm) along with outstanding cycle times, make it the classic high production equipment; the target for any food industry with demanding throughput requirements. Constant improvement of Hiperbaric 300 by our Engineering Department has made it become the fastest industrial HPP equipment in the world, in its 6 high pressure intensifier version, and provided it with maximum reliability. Would you like to receive more information about this machine?